I'm a pretty avid YouTube watching and one of my favorites to watch is HeyClaire (channel here)! I was on the fence about the Bite Beauty Multisticks, but Claire's stamp of approval motivated me to purchase some as well. I planned an all day date with my boyfriend recently and since we were going to do so many things, I wanted to do an initial easy look for the majority of the day and then add a bit more drama for the night. 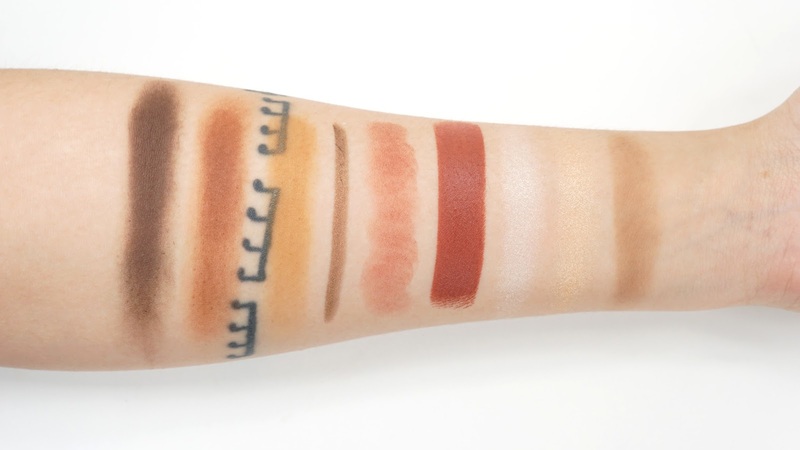 The Multisticks seemed like the perfect choice for me to use and it also meant less products to pull out or touch up! 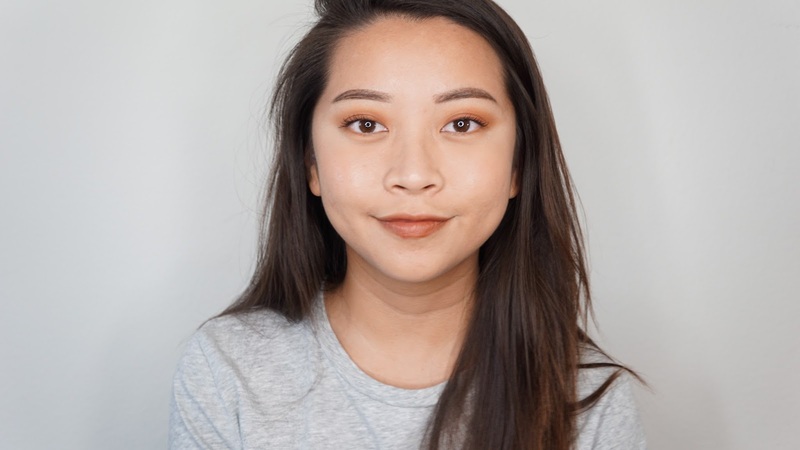 I went very very simple with my day look with the Bite Beauty Multistick in Almond on my eyes, lips, and cheeks. The only other color I put on was the Melt Cosmetics Eyeshadow in Rubbish and it was through the crease to help create a more winged out look. The base was pretty simple and what I've been using for a few months. It's really become my go-to base lately too since it's so easy to do. While Almond could be really built up on my lips, I did just put touches of the color everywhere to make it more sheer. I actually realized pretty recently that I do like blush, but only as a very slight wash of color. Even though Almond is a red shade, it is pretty wearable all over my face. It even wore pretty well on my eyes, but I would still pair it with a primer and a brown shade to ground it a bit more so that my eyes wouldn't look as tired. Looking back at these pictures, I should've powdered my T-zone a bit more but it did look fine in real life. My ring light makes me look a bit oilier than I am. 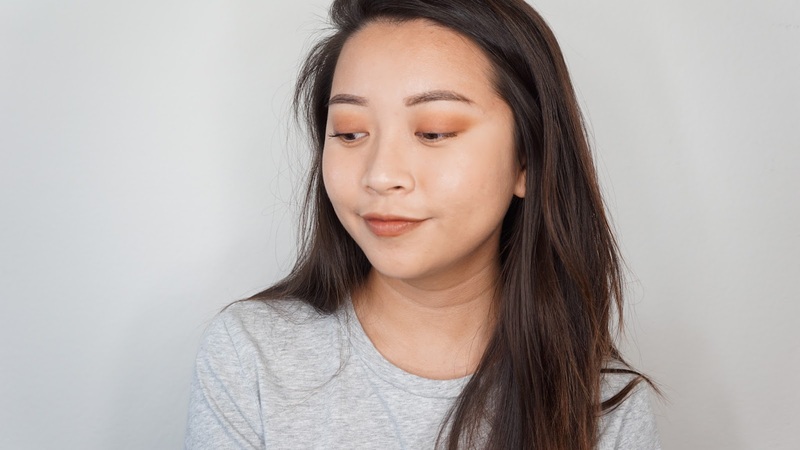 For the night look, I applied the Bite Beauty Multistick in Almond on my lips a bit more heavily but I still wanted to keep the natural almost blotted on look. I was going to a steak house and so I didn't want the color to get everywhere while I devoured my dinner. Even though I buffed in the Tarte Amazonian Clay Full Coverage Airbrush Foundation on top of my existing base, Almond still applied beautifully on top of it to fix my blush. 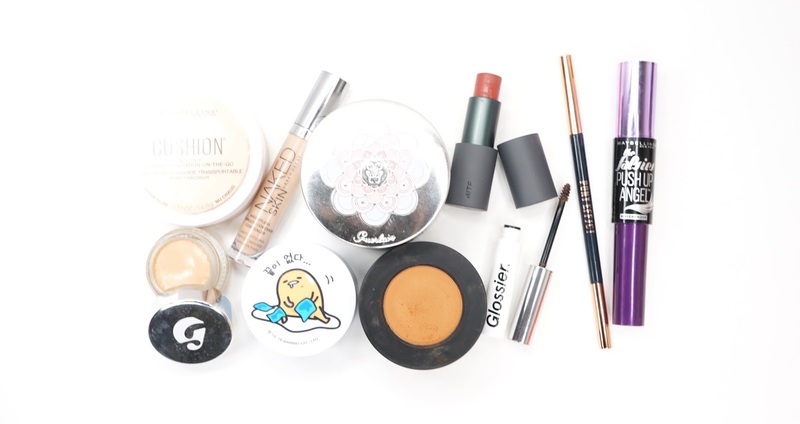 The dryer cream to powder formula really does help it still look great on top of powders! I wanted to really glow though and so I applied the Becca Powder Shimmering Skin Perfector in Pearl closer to the apples of my cheek and then Champagne Pop further back on my cheek bones. This step is pretty extra but I have so many highlighters that I'm trying to incorporate as many of them as possible in my looks to use them up. I'm trying to also use up my contour powders and so I also lighted contoured my cheekbones using the Kevyn Aucoin Sculpting Powder in Medium as well. I like that it's only a slightly bit grey on my skin tone and doesn't make me look ashy. 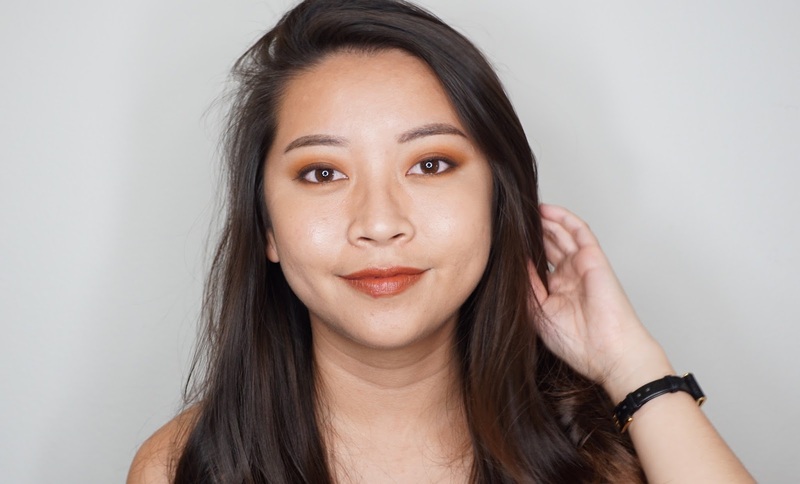 For the eyes, I just made them a bit more smokey using the Melt Cosmetics Eyeshadow in Rust on my lids and then Rott focused more on my lash line. To define my eyes a bit more, I lined them with the Urban Decay 24/7 Glide On Eye Pencil in Smog as well. I forgot how much I loved this color and eye pencil! How do you transition your look from day to night? 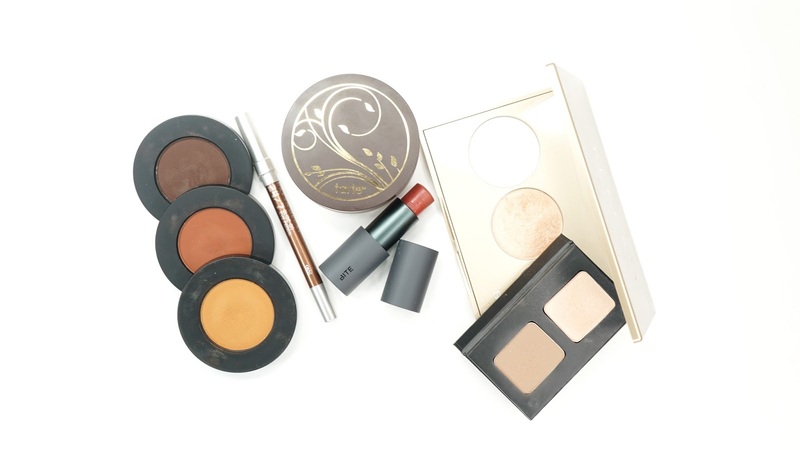 How do you feel about multipurpose products? 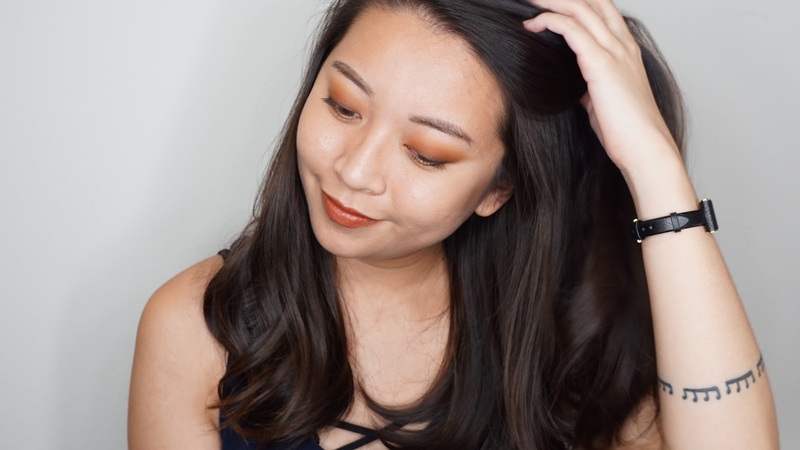 Have you tried the Bite Beauty Multisticks? & some extra pictures. My boyfriend was making fun of me posing and stuff from across the room.